Multi protection workwear certified and customizable | Cast Bolzonella. 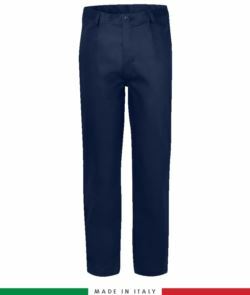 Trivalent clothing is part of the second PPE (Personal protective equipment) category, protective clothing for heat exposed workers (firefighters and welders excluded), as UNI EN ISO 11612:2009 standards and provide a triple protection, fire resistance, antacid and anti static. 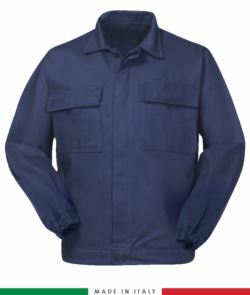 To meet your needs a wide range of trivalent clothing are available, jackets, fleece and sweater, suitable for outdoor work, or polo, t-shirts, trousers, pants, overalls and bib overalls. The high percentage of cotton present on the fabric of our trivalent clothing make them so comfortable, without affecting triple protection features. Our particular care to details such as covering buttons and all metal parts (es. zip), absence of inside labels placed outside enhance workers safety. Give a touch of personality and enhance your business image to your trivalent workwear by printing and embroidering your business logo. NB Dressing different classes trivalent clothing, means that garments protection class of is established by the lowest one dressed.